It may be cold outside, but the Salsa will be Hot! It may be cold outside, but the Salsa will be HOT tonight at Copacabana Salsa Night at Milly’s Tavern in Manchester. Come learn to dance with lessons from 7:45-9pm for just $5. Social dancing follows and goes until 11pm. Always fun! Always friendly! No partner needed. No experience needed. 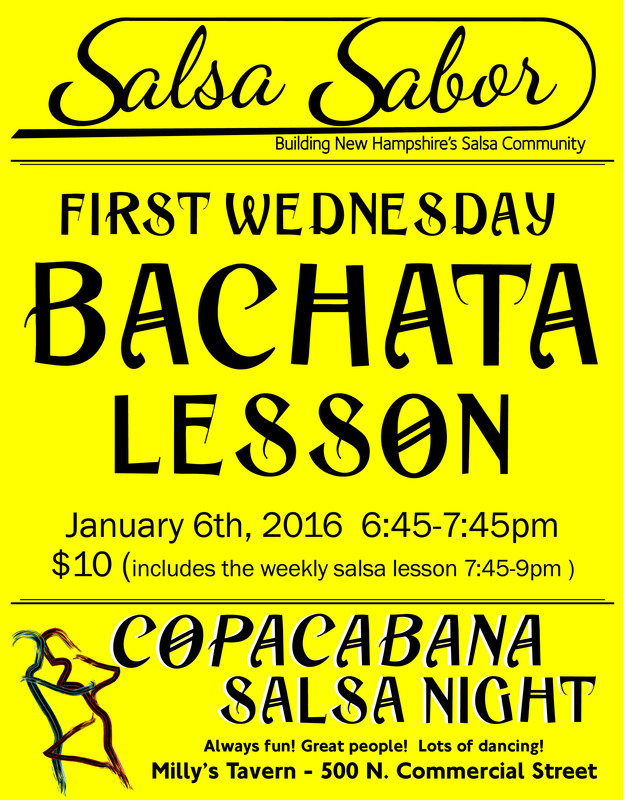 First Wednesday of the month Bachata Lesson Tonight! It’s the first Wednesday of the month. You know what that means, Copacabana Salsa Night’s First Wednesday Bachata Night. 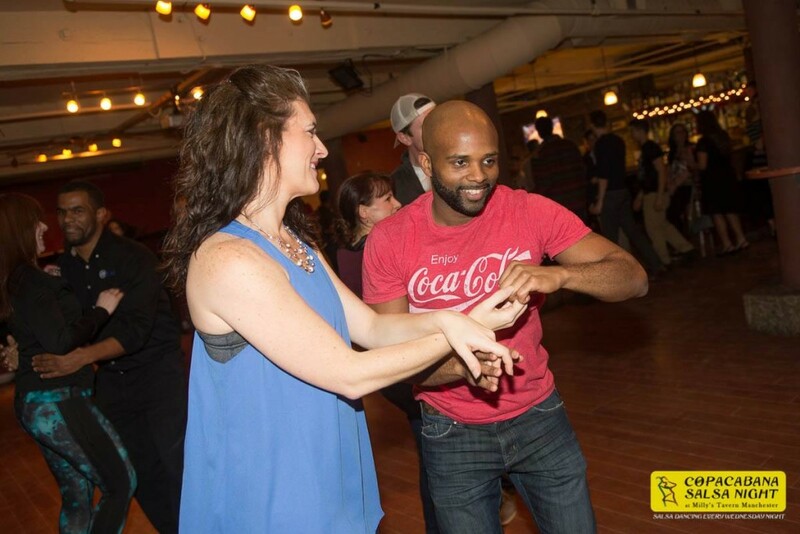 Come early and learn to dance Bachata with lessons by Salsa Sabor’s resident Bachatero Jimmy from 6:45-7:45 pm. Bachata Lessons only happen one time a month, so be sure to be there. 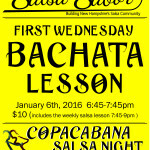 Cost is $10 and it includes the every week Salsa lesson from 7:45-9pm. Stay after the lessons and dance the night away until 11pm to the best mix of Bachata and Salsa music with a dash of Cha Cha Cha. As always never a cover charge for the social dancing at Copacabana Salsa Night! Reminder we are out in the back room starting this week. 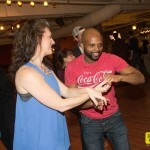 Copacabana Salsa Night is held every Wednesday night at Milly’s Tavern, 500 N Commercial St Manchester, NH.